Nothing means more to me than when clients trust me and love their images enough to come visit me again. I was honored when Casey and Jennifer announced to me that they were expecting their second baby. But even more so, completely in awe of how perfect and pretty she was just like her sister! Newborn sessions have really been something I've learned so much from. You truly have to be patient and go off of baby's mood. Lainey did fantastic, she didn't fall into a deep sleep but she was calm enough to let us take some cute pictures of her. I cannot wait to share the rest! A totally sleepy newborn is my favorite to get to snuggle! Little Dalila was almost six weeks old but she slept better than some of my fresh little ten day old newborns. Thanks for visiting princess! I think Collin was one of the sleepiest newborns I've ever met! 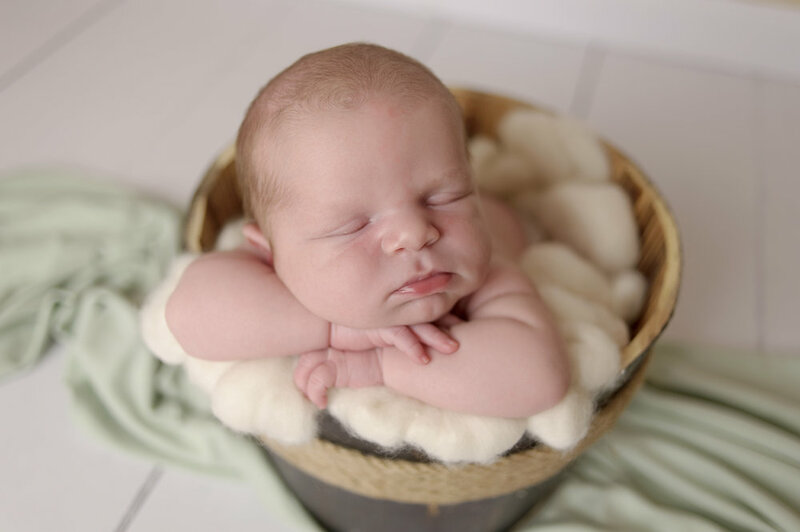 And he did PERFECT for his newborn session, cannot wait to watch him grow. He's a precious little peanut! Babies are little tiny miracles gifted to us. And for that, I am so grateful that people trust me with the brand new miracles. Little Elsie Jo arrived during one of my busiest weeks of the year, and although it was a crazy time for me, I'm so glad we squeezed her in and that she was a breeze. Some babies come in and aren't sleepy or don't like being posed but little Elsie came in and slept the entire time. She took a quick snack break and was ready to go back to sleep and pose perfectly. Little Jovie was a pretty laid back babe for mom and dad this time around. Her older siblings I'm sure will keep her busy but she sure is a precious little peanut! I haven't gotten to do an outdoor newborn for awhile so we got a few quick shots of her outside and then finished up inside when the twins went home for their own fun time.